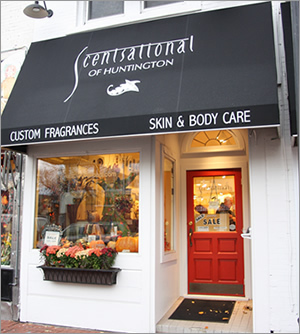 At Scentsational, we have been making fragrance a fun, satisfying and very personalized experience since 1980. We feature perfume oils including our famous China Rain (created in 1980) and essential oils like Lavender and Rosemary for aromatherapy. We also have many musks including China Musk and Egyptian Musk. See our Similar to list of popular designer fragrances for much less than the real thing! Worn as perfume oil, our fragrances are concentrated and lingering. Our eau de toilettes offer our scents in a convenient spray for layering or wearing alone. The perfume oils can also be added to our many lotions, bath gels & shower creams , honey and shea sugar scrub, and hair care to create your own custom scented products! They contain the finest and latest ingredients: shea butter, aloe vera, green tea, glycolic acid, grapeseed oil, colloidal oatmeal and more to offer you highly effective skin care. We also have a selection of products that are paraben free and organic. We also feature Kiehls, 100% Pure, Mario Badescu, Pacifica, Youngblood Cosmetics and Farm House Fresh!! Come in or call and ask about our staff favorites! 10% Off perfume oils, eau de toilettes and body spritzs in the following 2 fragrances! Our 100% vegetable glycerin base soaps are handcrafted soaps made in small batches, they contain a high percentage of moisturizing glycerin to cleanse without drying or irritating. Available in the following scents: Aja, China Musk, China Rain, Coconut Milk, Patchouli, Rain, and Spun Sugar. They are $5.75 for a 4.5oz bar. Please call to order Moonlit Musk scented products! Our gift baskets are beautiful and loved by the recipients. We have many themes or can customize one for your special someone. We believe in simple packaging outside and quality inside, where it counts. We are here to answer any special requests or questions and of course, our products are guaranteed to please! ***We will be pleased to take inspiration from your favorite scents as a direction for your unique custom blend, however Scentsational respects the creativity of other perfumers and does not perform brand name duplications.